Like all living things our brain is constantly changing and forever evolving. We can turn it into a beautiful, fruitful garden with clarity, direction and attention — or we may let it turn into a wild forest that is out of control. Learning to be a coach is a deeply rewarding and systematic journey that develops self-awareness and creates structure which has the power to transform our amazing minds to shorten the gap between desires and reality. Coaching is a creative and thought-provoking partnership to maximise the clients’ personal and professional potential. The role of the coach is to provide skilled presence to listen powerfully, create absolute clarity, structure the conversation, maintain unwavering focus on goals, inspire an action plan, and agree firm accountabilities to empower the client in accomplishing the goal. This involves a process of deep discovery that is proven to be powerful in delivering meaningful and lifelong change. Why learn to be an ICF Certified Coach? Are you passionate about making a difference to others and yourself? Would you like to develop the skills to help others at a professional level? Do you feel people can achieve much more than they think? Would you benefit from enhancing your personal mastery, leadership and communication skills? Would you like to learn skills that are portable, fulfilling and rewarding? If you answered yes to any of these questions, you have the potential to benefit from coach training! If this excites you, then we are waiting to hear from you and our program is exactly what will ignite the journey to empower your world! The International Coach Federation (ICF) is the leading global association for professional coaches with over 22,000 members in more than 100 countries, with responsibility of developing the profession, setting ethical standards and accrediting coaches. Be able to apply for your credentials after you have completed the curriculum and the course registration process is completed with ICF. Be globally recognised and benefit from the lifelong support. Gain more recognition and respect inside your company. Be able to start your own business to generate greater freedom, wealth and fulfilment. Have the key to unlock your own and others’ potential. Grow as a person, parent, employee, leader or business owner. *Source ICF Global Coaching Client Study Report by PricewaterhouseCoopers LLP and Association Resource Centre Inc. Coaching is the fastest growing industries in the world and 94% in the industry believe it is here to stay long term with US is spending over $1 billion a year on corporate coaching. Exposure to our powerful 5 Step HAPPYTM System of empowerment, developed by combining the best of coaching models, ancient philosophy and latest neuroscience research. Our programs add practical value to your life from the start and designed to be fun and interactive, using a variety of learning modalities to suit everyone. Who is the HAPPYTM Certified Coach Training Program suitable for? The HAPPYTM Certified Coach Training program is suitable for anyone who wants to learn the skills to become a globally certified coach, able to empower their own and others’ lives. Our unique 5 Step HAPPYTM Certified Associate Coach (HCAC) and Professional Certified Coach (HCPC) Training Programs is designed to meet and exceed all the ICF requirement of hours, standards and components for credentialing. Application to have the program approved is submitted and expected to be approved within 12-16 weeks. At present the program is Certified internally upon completion of the program which includes an internal exam, observed coaching and final performance evaluation session conducted at PCC level. *You will coach a coach or a course leader on a coaching issue in order to receive mentor feedback and sharpen the experience of applying the skills learned. **This is an internal exam undertaken to prepare you for the Coach Knowledge Assessment (CKA) which you will complete online directly with ICF. One hundred hours of coaching experience will need to be accumulated, logged, and submitted to ICF for the application of the ACC credential. We will support you as best as we can for this. 30 minutes of Oral Exam is conducted and a 2000-word Coaching Case Study is to be submitted. Five hundred hours of coaching experience will need to be accumulated, logged, and submitted to ICF for the application of the PCC credential. The HAPPYTM System of Coaching is founded upon multiple facets of knowledge from cutting edge neuro science, modern coaching principles guided by the International Coaching Federation, NLP and Positive Psychology, to ancient wisdom found in the teachings of the Vedas and Socrates. As you delve deeper into the course you’ll find the essence of teachings by famous personal development leaders reflected in the rich and vast pool of knowledge that is brought together to create the HAPPYTM System of Coaching. All programs are delivered face to face in Singapore and in English language, unless otherwise requested. No prior knowledge or qualifications are required to register for the program and it is suitable for all adults. Click here to for dates and course list of the upcoming program. Please contact Course Leader Avni Martin at avni@martinccs.com to register, ask any questions or arrange a meeting. Further information can also be found on www.martinccs.com. 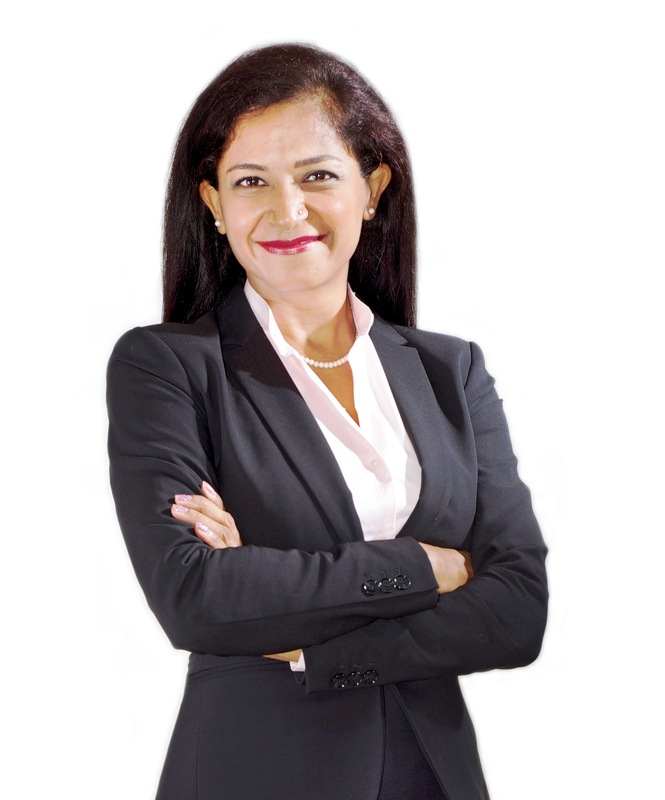 Our course leader, Avni Martin, is an ICF registered professional certified coach (PCC), mentor and trainer with 15 years of experience in developing people, businesses and leadership. 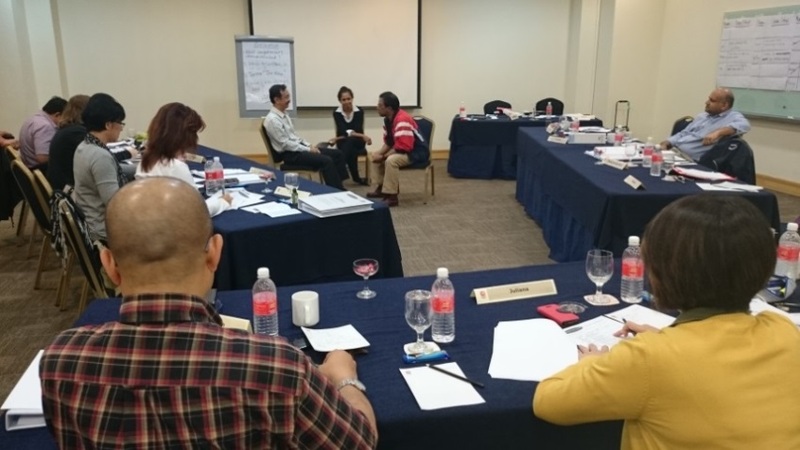 Avni is passionate about delivering unparalleled coach training to every single participant. With degree from Imperial College, London, Avni started her career in HR and Management Consulting, followed by developing her own company in UK before moving to Singapore, where she worked for a prominent leadership development organisation. Based in Singapore, Avni is the founder of Martin Consulting and Coaching Solutions which was the sole franchise partner of one of the leading coach training schools, developing their business and delivering world class coaching and training. Avni brings a lot of experience and energy to her training and runs a series of personal development workshops for teenagers, parents and couples called Empower Your Excellence in collaboration with other dedicated coaches in the community. Avni is the Executive Committee Leader and Head of Coaching Science and Research Committee for the ICF Singapore Chapter, where she has initiated two pioneering projects with to develop the awareness and advancement of the coaching profession in the coaching community. Projects include developing the first of a kind series of coaching video demonstrations that will be published on ICF website and organisational study to compare the awareness, application, perception and trends of coaching with other forms of intervention. “Having completed the Certified Associate Coach (CAC) Training Program course led by Avni Martin, I’m impressed with her ability to empower anyone to become an effective transformational professional coach, whatever career they are in. The course opened powerful new horizons and avenues for me to contribute to society, and Avni’s ongoing commitment to support this journey is unique and empowering. Avni is articulate and able to effectively guide the students through a structured program to deliver a cohesive learning experience. She is very encouraging and respectful of the various personalities of different coaches learning together, and imparts coaching skills to each in a very professional and personable way. “Completing the ACSTH course with Avni Martin has brought about life transforming growth in my personal and professional development. Avni has exceeded my expectations in being an excellent coach, trainer, and mentor. The coaching skills I have acquired have complimented, deepened, and broadened my skills in my legal practice and education, as I am able to discern peoples’ needs to lead them to a greater awareness and resolution of challenges. Avni is an excellent mentor coach and truly dedicated to the success of coaches. I have benefitted from her generous personalised service as she has given me valuable support in marketing, workshop design, and enrichment of my professional work. With Avni, I have been able to discuss and deepen my coaching experiences, which I believe to be the most significant gain for me. The ability to deconstruct my coaching sessions with Avni through mentoring, has accelerated my learning and deepened my conviction to support others to go beyond their limits and embrace a more fulfilling life. “The ICF Certified Associate Coach training provided by Avni has met my expectations both at the professional and personal level. The series of program were conducted in small groups within a cosy and safe environment which provided ample opportunities to apply my skills through peer coaching and encouraged a deeper level of sharing amongst the participants. Following the graduation, it is not just another professional certification acquired but the invaluable friendship I have developed with my fellow course mates as well as Avni. Full payment upon registration. No refund for cancellation made after registration. However, fees paid can be transferred to future programs or a substitute may be allowed to replace the registered applicant. A 30% forfeiture of the total fees will be deducted for cancellation with less than 7 working days’ notice, with the balance 70% to be used to pay for the next program. The company reserves the rights to change the venue or date of program if deemed necessary.